I thought I knew what I was getting into when I signed on for the documentary project, Black in America. Years of walking around in this skin meant I pretty much have being black down to a science. And when it comes to being black one of the most important things to keep in mind is that you will have to answer a lot of questions, primarily from non-black people. Questions like "Do you tan? ", "How do you get your hair like that? ", and "What’s wrong with saying someone black is articulate?" I was worried that this project would only scratch the surface of what it meant to be black in this country, rather than really examining the challenges and triumphs that we face everyday. How do you fully explain the great success of the black middle class in the last 40 years, but at the same time explore the tremendous growth of the black male prison population and dozens of other topics in only four hours? The process wasn’t an easy one, but in addition to its challenges it presented great opportunities. It was a chance to have honest conversations with a wide range of people about how race is lived in this country, to examine how far the black community has come in the four decades since Dr. King’s assassination, and to paint a fuller, more realistic picture of a group of people who are often underreported in the media. The most difficult part of the 18-month long process was realizing that there were no answers and the experiences of African-Americans are as varied as the people themselves. But ultimately, the documentary was never about providing answers. It was about asking the questions, providing a thoughtful and nuanced look at the issues, and hopefully starting a conversation that is long overdue in this country. We knew we couldn’t cover every issue and some people will watch the four hours and see glaring omissions. But my hope is that this will be the beginning of a long and productive dialogue and there will be more. all i want to know is: when will i be able to purchase this documentary? i plan on opening a wonderful after-school recreation center one day, so i've been collecting thought provoking documentaries. i need this in my collection so that i can try to make the difference the only way i know how: by talking about it with our future leaders. if and whenever this is going to go to dvd, i'd like to be notified as soon as possible. great work, and i am so proud of soledad for her sympathetic, understanding, yet unbiased approach. Oh my! Did I offend someone with my comments yesterday, or did you determine they were not appropriate? I guess you are biased in who has a voice unless you agree with what is said. Go figure! My point is that there is no body in the USA that is not aware of "black issues". But why does it deserve such media exposure and attention? I'm personally glad that some in the black community are doing well as a result of their strength and ambition. It's a damn shame the majority of them can't change their ways and adopt more positive measures. Well, I guess I won't be watching Lou Dobbs or Anderson Copper anymore since I'm boycotting what use to be my favorite news source, CNN! I am overwhelmed at the documentary. My husband insisted that our family watch it together. We have two teenaged girls and a seven year old son (who didn't pay that much attention). Both segments were enlightning as well as stirring. The rap music segment was heaven sent for me because I had been trying to show my girls the kind of influence and message that music was sending. They had dialogue with my husband about an hour after the documentary was gone off and I stood back to watch a miracle take place. Soladad O'Brien and all of CNN, you deserve the highest honor and the highest reward for this documentary. It was well put. I thought the documentary was very informing. As an educator in a rural school, I do all I can to encourage all students, especially our black males to graduate from high school and college to become productive citizens. It is imperative that someone stands in the gap and talk against the many stereotypes there are against our black boys. The documentary hit some pretty tough areas and gave good insight on the thought processess and the stress of being a young black man. I did have an issue with one young man in the San Quentin Prison. It wasn't that he did not have someone telling him to do right, I truly beleive he choose the path he walked. Many parents may not know how to encourage their children, but I guarantee there was someone telling this young man that another way exsisted and that he did not have to get involved with a life of crime. All parents want the best for their children no matter what background they live in. I truly believe the media portrays these negative images that have painted negative portayals of blacks around the world. I beleive it stems from slavery and the mindsets that are still prevalent in 2008. This show should be seen by all and brought to CBS, NBC, AND ABC. Mainstream America should see this. The only problem would be that many people with biases would be in denial. This is an issue that needs to be fixed and the descendants of those that have implemeted this bias should attempt and support to do all things to make it right. This programme is excellent. To me it seems long overdue. I'm a Scotswoman married to a West African. At present we live in England, but have moved around a bit, and spent 17 years in West Africa. We have 3 grown-up sons, now living in different parts of the world and doing okay. Many of the issues covered in the programme are relevant to us too – white v black issues and stereotypes are widespread. We have to keep striving to overcome the dead weight of inertia, of lack of understanding, and of the negative effects of unthinking habit and of powerful vested interests. But change does happen – and programmes like this should help to make it be change for the better. It's another inch in the right direction. Thank you Soledo and CNN for addressing the issues and concerns we face everyday of our lives. Some people think it is so easy to just go to college and to have a successful career. But it is not that easy for Black people. If with or without educational experience we are sometimes not given the job or the same pay rate as our white employees. This special enlighten me to do stay motivated in my education and to continue to stay involved in my son's life. I can't express enough Thank you's to everyone who worked on this project. It was a project that has been long overdue. I just pray this will open our eyes to help our youth to be strong and motivate about their future. History of America- Students are Not learning the true history of america, the african american history- Black inventors, painters, doctors, etc. I believe schools have failed alot of students by not giving them the success of African-americans. Students need to know were they come from, and that a blackman was first to preform open-heart surgery, build building, invent many things we use today like shoes, act in well known movies and tv shows, and more. White americans will always say get over it.. It Will not happen.. because they just dont understand and never will..
We are damaged by not knowing where we come from, our past. It's hard to understand where your going if your don't know where your from. I think that it is about time that we scratch the surface and dig deeper with this subject because there is plenty of deepth to the issue of being black and how our mindsets are, how we live against the odd, our relationship and black men veiw black women, the whole kitt and kiboutle. Please make a every week show on this. to reach our youth so that they can be enlighten, and enriched with this knowledge. CNN, LaNeice, Soledad, Anderson....etc., let me first start by saying, "hats off" to all that have worked on this piece. Whereas, every issue was not portrayed, elaborated, featured, highlighted, etc. regarding Black America (nor could it be)... it was a START to putting some of the core issues back on the table. I agree, that many of these core issues are not pleasant or flattering; I also agree that there are some incredibly positive trends that were not focused on, or expounded upon as well. However, it was a catalyst for "discussion," which MANY news media would "care less" to invest the time and/or effort to approach, or let alone present a two part series on. So, "kudos" to CNN for their efforts and Soledad was really outstanding; she deserves real recognition for outstanding reporting in this series. Otherwise, I truly applaud the efforts and hope that if you do a part 2 (and you should already be working on it! ), that you concentrate on some of the other issues that were not focused on like the large middle class experiences, the huge rates of black entrepreneurialship (which you mentioned, but did not expound upon), the historical relationships of black strife in this country as it relates to today’s issues, the younger generation and their changing attitudes, etc. Overall, great job! What I saw these last two nights was the same old thing from the white media. Why was Tara Walls in the conversation? She is a sambo she is not embraced by the African American Community because she chooses not to engage with the African American Community, because her face is black that dose not make her a spokes person concening The African American Community. The black actor who was on the Cosby Show why was he in the conversation? This is an actor who is familar because he was on a black sitcom, this is amazing. Charles Barkley in a joke this is who CNN goes too to speak on Black Men in American, this is laughable. This side show was for white consumption. This proves that African American People must take control of how we are protrayed and presented in the media because we get crap like this that is one sided and hyped. The fact that most successful African Americans are not married to white people, I quess the mostly white viewers did not want to see that. The black families who fight for their children every day and survive with positive results, didn't fit into what CNN wanted to protray . There was not one African American husband and wife highlighted on the show African Americans are not marrying white people stop it please. What was presented was the only way an African American can be happy in marriage is to marry white, that was disrespectful and distored and diliberate. . Tyler Perry the film maker who makes films for the AA audience, right there in Atlanta, I quess that was the part of the story that did not want to be told. When Soledad says the Singer Seal is a R&B singer that says what ever the purpose of this program was it wasn't to tell the African American story. I am disappoint, but not surprise and now tomorrow black people will have to go to their jobs and have to hurt some white co-workers feelings when that co-worker attempts to explain the African- Americam community based on this typical white hype trash. I think the coverage Soledad did was surficial but glad at least some of the most threatening factors were uncovered. My brothers, in a predominately white area, were wrongly identified by a little white boy on a school bus, as carrying a gun. The little boy told a police officer at the school and the officer just took the word from the boy and searched my brothers in front of the entire school. My brothers are preppy and light skinned, and are Christians. It is just something that constantly happens to us black people. The principal apologized, but the damage was done. It is frustrating that when you explain stories like these to non-blacks, especially whites, they act like racism, discrimination, and hatred are still not a part of America, but it is. I wish they could understand us, because we've spent an eternity trying to understand them and fit in and assimilate into white America just to progress to the heights they have made on the free labor black people gave over 400 years due to slavery. There are so many other stories I can tell, but this is the reality for us, the reason we need reparations. I'm glad that this subject was discussed and will air again throughout the night and into the morning. I appreciate that we are being discussed, the good and the not so good, the depiction that many of our people do not want aired, but live daily. For those of you who were offended or felt that the story was a poor representation, your voice was heard and I respect you. Years ago, I would have been angry and hurt by many of the comments on that I've read. But, I'm alright with hearing others anger and disappointment. Hope it gets better. CNN were do you go from here? You've taken on an obvious painful and powerful subject, that will be under attack. I think you've depicted a painful reality. A suggestion if you continue with this discussion, interview single mothers, our fatherless children, youth, adults, and the wise and let their voices be heard. It is my hope that much positive will come from this show BIA. I have watched much of the program that you and your team have done on being Black in America and I must say; You all have done an outstanding job! I think this was a well researched, well thought out and very well presented work. I hope this serves as both a standard and a opportunity for other networks to do this kind of research and work. Why not do a show on being white, hispanic or asian in America? I invite anyone who wants to know how it feel to "Be black in America" to try 200 years of enslavement and daily discrimination.Give black folks a break-My God they deserve one! Wishing and hoping in the land of the free! It's now almost 10:15 on the second night of the special. And although I sent one critical comment that I doubt will be posted, I am motivated to send yet another. This late in the program, like the back pages of the newspaper, your program discusses the Black corporate player. It is odd that ALL of the successful Black men mentioned prior to the discussion of Malcolm, they worked for or were supported by the state in some way. The Warrens – the primary success story work for the school system and judicial branch. Other men displayed were in the hands of state prisons or in schools. I too am in marketing, male and work for large companies. Malcolm's story validates the light skin Black stereotype. Unfortunate but true. 10:20 – Malcolm says – "I can only show up for work every day and prove myself." Soledad too bad my 15 year old daughter, educated, articulate, well cared for by her single Black father is upstairs in bed. This was the message that I would have wanted her to see. The segment was short – could have been missed. But in that segment we say the ray of hope that will bring us out of this tragedy. The voice of a Black man that has been trained to compete in the world he lives in. Soledad says the begative images are everywhere – CNN has done little to change that. Better luck next time. I do hope there is a next time. The Producer BLACK or WHITE???? We were having strong debate over whether the producer of Black in America was Black or White – (which has brought me to this webpage). The truth is, as Black students, friends and family, we could not understand how the documentary was so superficial. This documentary managed to gloss over the U.S. racial issues with a soft neat brush -too much to even begin to explain here. We tried taking into account the agenda of those behind the documentary, their presentation style, their choice in statistics and a host of other factors. Ultimately, some said a White person must have done this because they don't know much about complex Black issues. In opposition, it was said that a Black person did it -But the kind of Black person who has looked at RACE mostly as an incidental fact and not as something to be taken under too much consideration. A Black person who has lived, continues to live with and operate in mostly White circles. I personally believe the latter -A Black person made this. Racism exists, yeah its bad...but you know its not really that bad. This has been a good series. One major oversight in the area of blacks and jobs: Few employers dare to admit this, but one of the main reasons, almost as powerful as a criminal record, that employers do not hire blacks is because of threat of discrimination charges in the event that it doesn't work out and the person has to be disciplined or terminated. A few years ago I was in a refreshingly honest meeting between employers (about 20) and black leaders (about 20), and this was by far the biggest reason employers hesitated to hire blacks. The threat of interminable litigation in the event it doesn't work out. Too big of risk. Yet another example of the law of unintended consequences. Less hiring of blacks is hardly what we thought would be the main consequence of anti-discrimination laws. Folks, our comments are all over the place, yet within the confines of a narrow doctrine. I think the one thing that white America should understand is that we are very thankful to God for being a member of the original man on the planet Earth. This statement of condition is very powerful even if the majority of black folks don't know, don't care, or reject it. This speaks directly to the power that we have but do not excersize. How in the world is the tail wagging the dog? A lie has been planted in our educational system that ripples through our daily lives. Unless we can come to grasp the concept of controlling the means of production, we will always be at the feet of another people trying to figure out what's wrong with us. I think the thing that's missing is more analysis of the root causes of why the Black community has this gap in performance – some folks doing really well, others not so well. Also, there isn't much or enough historical context on the impact of slavery, jim crow, segregation and institutional racism. Much of what I see is reinforcing negative stereotypes – I think the series could have been much more balanced. There are so many positive stories of strong Black families – I wish CNN had shown more of these familes who rarely get any visibility. The media always shows the worst and rarely the best. I am watching the second night of the Special on being Black in America. Although the special discusses the Warrens life style, it is a story of partial success with a return to the same stereotypes that have characterized Blacks and Black men. I understand the realities of life, having been raised in New York and the Bronx. But I also know that life does not have to take you down the paths you describe and that there are many out here that have found their path to American success. The major failing of the special is the overall premise, that you can easily describe, in any manner, the notion of being Black in America. The documentary fails to help the mainstream audience understand the diversity of the blacks in this country. This is a major failing and I found that Soledad and the producers overlooked an issue that we Blacks need to better understand. The culture of the inner city is so very different than the culture of the suburbs. The culture of the middle class is so very different from the culture of the lower class or super rich. Jamaicans, differ from Haitians and from Africans. But the show did what the mainstream audience does – it lumps all Blacks into one bucket rather than demonstrating that the diversity is the same as the diversity of the white mainstream. My dissappointment with the show was that it did little if anything to break the stereotypes that the mainstream culture has of Blacks and even worse, it did little if anything to provide an image of the Black progressives that is so desperately needed by our Black youth. 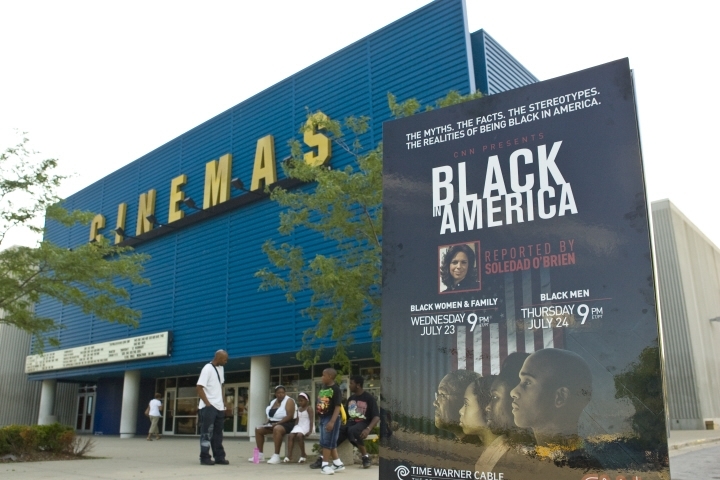 I am affraid that an attempt was made to tell the world the story of Blacks in America. The reality is – it was the same old story – giviing little hope to one that watches. And intersplicing bits of success in a flood of tragedy. Soledad where are the success stories that I can share with my 15 year old Black daughter living here in massachusetts apart from the community you so readily share. Tell me Obama's story. Tell me Colin Powell's story. Tell me Clarence Thomas' story. But the same old thing – I expected more. My wife and I–both white–have adopted and are raising our African-American granddaughter. We are spending $15,000 a year, which we find very hard to afford, to send her to a private school. Why? So she can be around brown and black people of achievement. Unfortunately, those are almost exclusively the kids of immigrants from Asia and Africa. African-American children in our local public schools tend to be imbued with all the tropes of modern black culture–sullen attitudes, bling, violent hip-hop music, poor language skills, and–above all–the feeling that academic success is somehow not authentically black. African-Americans in this country are commiting cultural suicide in slow motion. My daughter/granddaughter is being kept well away from these cretins. In the interest of fairness - a la, the "fairness doctrine" that so many people seem to think is a good idea - I trust that CNN will find an employee, maybe Lou Dobbs, to do a series on what it's like to be "White in America." If you think that smacks of racism, then explain tome the difference. While you're at it explain to me the why this double-standard is okay. Blacks can freely express their intent to vote for Senator Obama based in very large part because he is black, but when I have said that I will have to vote for Senator McCain because he is white like me, people's jaws hit the floor and they are shocked at my insensitivity. And please don't tell me it is ok because they want to be a part of history in helping to vote in the first black president. I think Dr. King would be ashamed of the situation we are in today. Remember, he believed in judging people by the content of the character and not the color of their skin. Is that what we are doing?